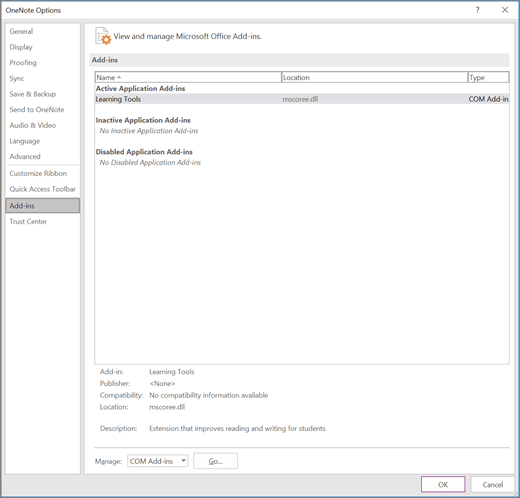 Note: Note: If using OneNote Online or OneNote for Windows 10 it is already installed. Check out this article on how to open Learning Tools. Close OneNote and reopen it. If Learning Tools appears, you’re done. Otherwise, try the next solution. Restart your device and reopen OneNote. Check to make sure Learning Tools appears. If it doesn’t, try the next solution. In the OneNote ribbon, select File, then Options. If Learning Tools shows up under Inactive Application Add-ins, select Go next to Manage: COM Add-ins. If Learning Tools still doesn’t display, try the next solution. Press the Start button, or select Start from the task bar, then choose Settings. Type “Add or remove programs,” into the search box, then select it from the list. Type “Learning Tools,” into the search box, then select Learning Tools for OneNote. 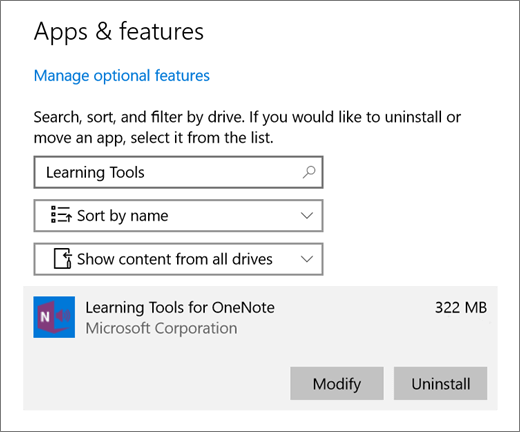 If Learning Tools for OneNote isn’t listed, follow these instructions to install Learning Tools. 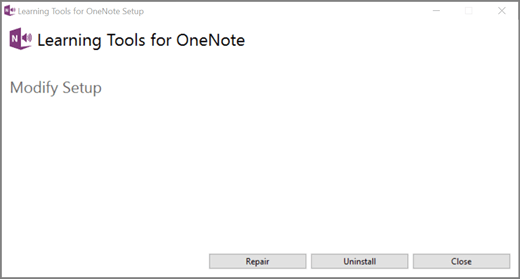 When the repair is complete, reopen OneNote and check for Learning Tools.